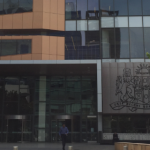 Earlier this year, the NSW Parliament passed legislation that changed how juries can view a defendant who remained silent while being questioned by police after their arrest. The parliament also passed a piece of legislation requiring defendants to disclose their defence to the prosecution before the trial. This mandatory defence disclosure means NSW defendants could be penalised for raising new evidence during a trial, and for not stating their defence when being questioned by police. What is mandatory defence disclosure? The Criminal Procedure Amendment Act (mandatory pre-trial defence disclosure) 2013 requires that the prosecution give the defence the details of their planned case, and that the defence then provide details to the prosecution about how they are going to respond. The nature of the defence, and details of any particular defences that the defendant plans to rely on. 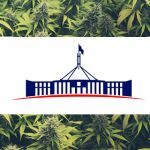 Any issues the defence has with the prosecution’s case, and is planning to raise in court, and any issues the defence has with the evidence. Details of any witnesses that the defence is planning to rely on, or if they are going to refute any evidence provided by the prosecution witnesses. Any specific points of law that the defence intends to raise. Copies of reports by expert witnesses that the defence plans to use. Details of any notice of alibi the accused is planning to submit, or notice that the accused intends to use substantial mental impairment in their defence. The defence is required to submit the information to the prosecution before the trial on a date that will be specified by the court. Under the evidence of silence act provision, the judge is allowed to let the jury draw an ‘unfavourable inference’ if the defendant doesn’t mention something when they are arrested which they later rely on for their defence. This means that if a person has been arrested, while they were previously given the right to remain silent, now it can be considered not to be in their favour if they don’t give details of their planned defence during the police interview. If they say something in their defence when they are being questioned by police and then later after consulting with their criminal lawyer, decide to focus on a different defence, under the new rules it may appear that they are changing their story and their credibility could be affected. Mandatory disclosure may also increase legal costs and create more paperwork for lawyers and clients. 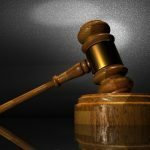 What happens if a defendant doesn’t disclose their defence before the trial? If a defendant or a defendant’s lawyer doesn’t comply with the mandatory defence disclosure requirements, this can be commented on during the trial and the jury will be able to make unfavourable inferences if they wish. This amendment does not apply in cases where disclosing the defence is perceived to be against the administration of justice, where the defendant is under 18, or for summary offences or offences that are being dealt with summarily. If the prosecution changes their approach after the defence has been disclosed, the defence is allowed to make any necessary changes in response. If a person has been charged with a serious indictable offence, it is even more important to seek help from an experienced criminal lawyer who understands what mandatory defence disclosure in NSW means, and how it works. 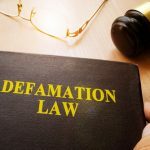 What is the Law on Defamation in NSW?